Hemophilia A occurs in about 1 in 5,000 male births and almost half of severe cases are caused by identified “chromosomal inversions”. In a chromosomal inversion, the order of the base pairs on the chromosome are reversed so the gene doesn’t express properly and the sufferer lacks the blood coagulation factor VIII (F8) gene, which causes blood to clot in healthy people. This was the first time a type of stem cell called iPSCs--which possess the ability to change into any cell type in the body--was used in a procedure like this. 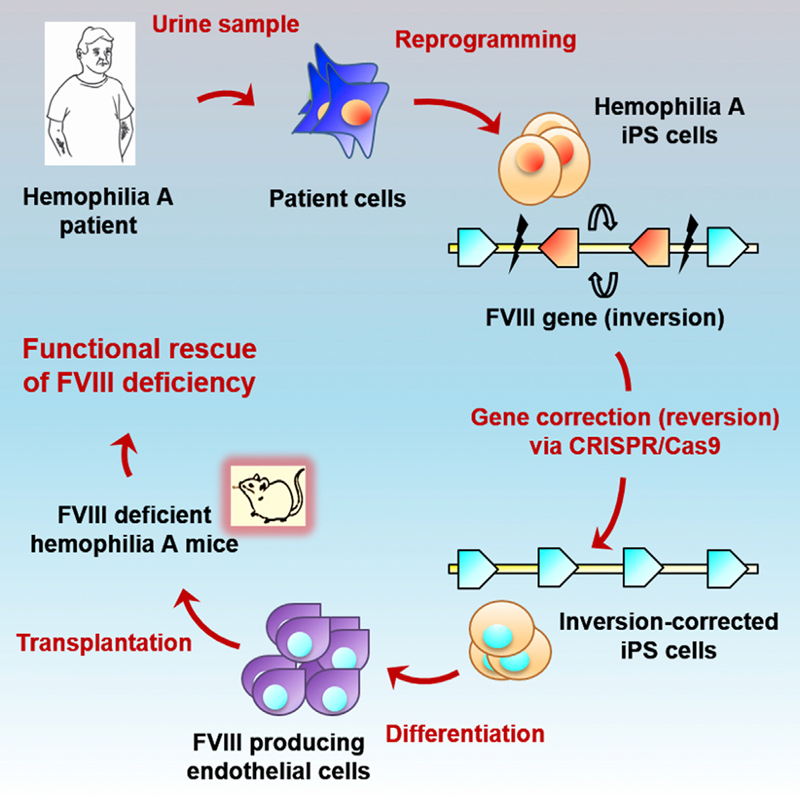 The urinary cells were collected from patients with the chromosomal inversions causing hemophilia to make iPSCs, the team applied CRISPR-Cas9 nucleases (Clustered Regularly Interspaced Short Palindromic Repeats-CRISPR associated protein 9) to them.